For the time ever, we have partnered with an artist to create a one-of-a-kind printed PRO mat. The limited edition Ryan McGinness PRO Mat was designed to inspire creativity both in practice and in life but it also serves a much higher purpose. 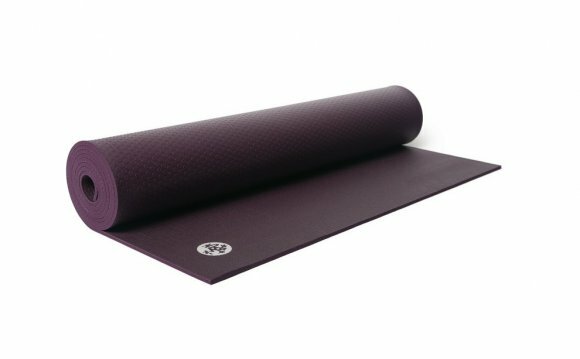 Every time one of these special PRO mats is purchased, we will donate two yoga classes to children through Bent On Learning. This non-profit organization helps bring yoga and all its benefits to public schools in the New York area. The abstract female silhouette is part of Ryan’s iconic “Women Series” and positively flows off the classic dark blue mat right into our open hearts. And while the design is new, everything else you love about the PRO is still there including an unparalleled density, performance grip and a lifetime guarantee. Already our most supportive mat, this limited edition mat truly embodies the spirit of the practice by supporting the next generation of yogis. About Ryan McGinness Ryan McGinness is an American artist, living in New York City. His work is in the permanent public collections of the Museum of Modern Art, Virginia Museum of Fine Arts, Museum of Contemporary Art San Diego, Cincinnati Art Museum, MUSAC in Spain and the Misumi Collection in Japan. Bent On Learning brings yoga into underserved public schools and classrooms tosupport a healthier, more compassionate learning environment where kids can thrive. For 15 years, they have been providing weekly yoga programs to schools during the academic day, serving 18, 000 children to date and helping make health and happiness an integral part of school curriculums.